An average of about 375 people die every year in fires in Canada, and most of these deaths occur from smoke inhalation. Fire can be very destructive, but you don’t have to live in fear of it. Though a major danger and the cause of billions of dollars of damage each year, fire is something that you can guard against. Keeping your home and your family safe is the number one priority. So whether you just bought a new residence or want to increase the safety of the place you call home, here are our top 10 ways to fireproof your home. Be sure to test the batteries in your smoke detectors every month and replace them once a year. Up to two-thirds of reported deaths caused by home fires from 2003 to 2006 resulted from fires in homes that lacked working smoke alarms. This is an alarming statistic for such an easily preventable task as maintaining your home’s smoke alarms. If you don’t have smoke detectors, you need to install them right away. This is non-negotiable. Know the location and check the functionality of your fire extinguisher. You can do this by testing the pressure gauge. If the needle stays in the green area, the extinguisher still works. If this doesn’t happen, or if you have an older model without a pressure gauge, you can buy a replacement fire extinguisher for around $50. It is recommended you keep an extinguisher in your home and another in your garage so you can access it quickly during a fire emergency. During the dry summer months, it can be particularly easy for a fire to start from a barbecue or backyard grill. Be sure your grill is placed away from trees or shrubs and cut down overhanging branches to reduce your backyard fire risk. If embers enter your overflowing gutters, a fire can break out easily – especially in dry conditions. Be sure to remove all debris from your gutters, roof, eaves and downspouts. When adding in a new device or appliance, be careful not to overload your wiring. If you have older appliances that you haven’t inspected in a while, then move them from the wall to be sure the wiring isn’t frayed. To minimize your fire risk, it’s critical that you replace your furnace filter on a regular basis. A clogged filter can cause a furnace to overheat and catch fire. The lint trap on your dryer is another filter that can overheat and pose an elevated fire hazard. Make sure to clean out your lint trap each time you use your dryer. Carpets and rugs made of wool or synthetic materials can spread fire quickly, but fire-resistant carpets now exist in a variety of textures, colours and patterns. Pay special attention to the material of hearth rugs or other flooring coverings that will be near a working fireplace. If you have small rugs in your home, get them treated with a fireproof chemical. Candle light is lovely and adds a romantic touch to any room. A candle has an open flame and can cause a fire hazard if not properly placed. Don’t place them where children or pets may knock them over. Don’t place them near curtains or drapes. Don’t leave the room for a more than a few minutes before extinguishing the candles. Consider scent diffusers or battery-operated candles as alternatives. Fireproof insulation is typically installed over the walls or in the attic of the home. Fireproofing materials can also be applied to construction materials such as steel beams, concrete areas, roof and floor assemblies, and columns. 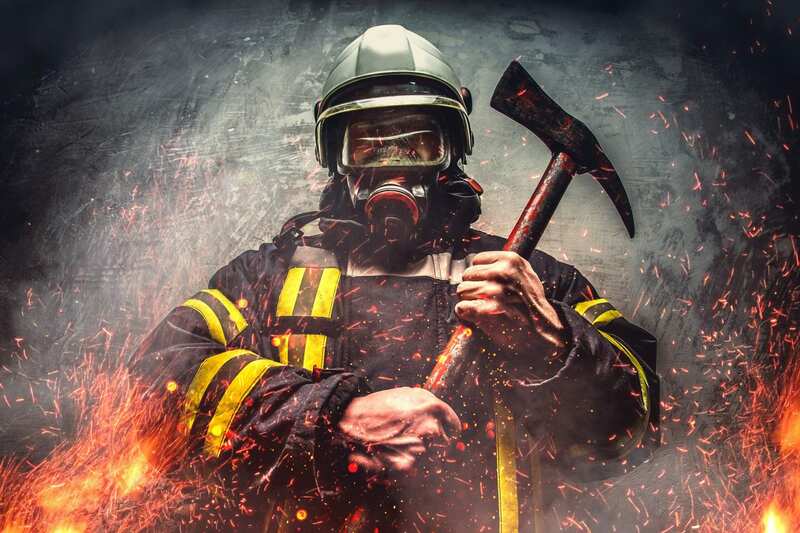 Fireproofing will greatly increase the resistance to fire, while protecting against the chance of burning or melting materials under even intense heat. Taking these precautions will significantly minimize the risk of injury or loss posed by fire in the home. In addition, taking these precautions can lower the cost of your home insurance, thereby offsetting the costs of fireproofing. At Assured Insulation we’re in the business of making you feel safe and secure in the place you call home. We offer 35+ years of experience in insulation, excellent standing with WCB, and a team of fully trained and insured professionals. Whether you need it insulated, removed, or fireproofed, contact us today to learn more.